Why would you book a stopover on a one-way trip? On Wednesday I saw this post by The Miles Professor explaining how to book stopovers on one-way Alaska Airlines award tickets. The thing is, it's not immediately obvious why you would ever do this. "One of my favorite ways to use stopovers is to schedule a stopover in my actual home city and use the stopover to connect two completely different trips." 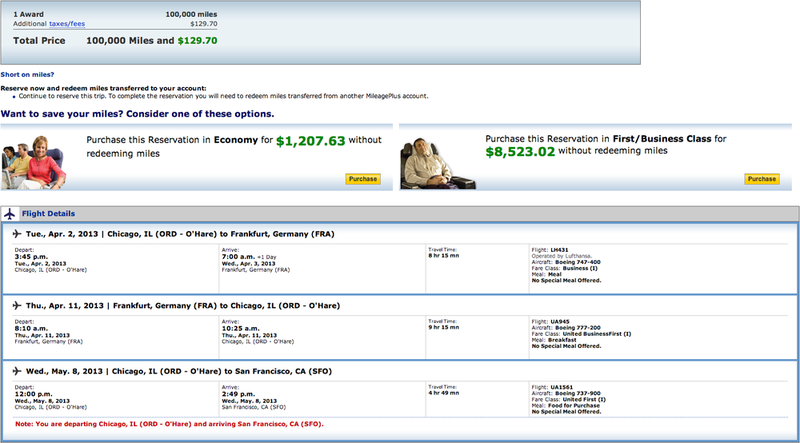 Each of those tickets would cost 12,500 Alaska Mileage Plan miles, assuming there's low-level award availability. But remember, our hypothetical passenger is a resident of Seattle, so they'd need to find some way to get to LAX in the first place, and some way back from LAX at the end! Each of those one-ways would also cost 12,500, bringing the total cost for 2 roundtrips to 50,000, just as it's supposed to be. Here we've booked two-and-a-half round-trips for the price of one-and-a-half roundtrips. Not bad! Of course our passenger still has to find a way back from LAX if they decide to fly that leg, but even if they don't, they still end up a one-way flight ahead of the game, which isn't nothing. If that's the obvious use for stopovers on one-way trips, I thought it'd be interesting to see which others I could come up with. See more cities. As you can see in the comments to The Miles Professor's post, you can also book stopovers on one-way Alaska Airlines partner awards, so if you're booking an award ticket on a partner airline like KLM, you can stop over for a few days and enjoy Amsterdam on your way. Cheap awards to Hawaii and Mexico. Since you can book award tickets from anywhere in the continental United States to Hawaii and Mexico for the same price, which is less than twice the cost of domestic awards, you can book future, onward travel to Hawaii for just 7,500 miles or Mexico for 5,000 miles, compared to the 20,000 and 17,500 Mileage Plan miles, respectively, you'd have to pay to book a separate itinerary. Position for future flights. I showed one example of this technique above, but you can also use it to position for flights on other carriers. For example, United operates an international hub out of San Francisco, but you might have difficulty finding low-level award space between Seattle and San Francisco on United-operated flights. Instead, you can use your free one-way flight to position to San Francisco on an Alaska Airlines-operated flight. Because you can. As long as you book your speculative onward connection at the end of your itinerary, you may as well tag an extra leg onto your reservation. Who knows, you might even end up using it! Just don't book a speculative connection at the beginning, since a missed first leg will typically cancel your entire itinerary. Free one-ways are a fun and easy way to take advantage of airlines' generous award routing rules. Which reasons to book a stopover on award tickets did I leave out?